Do You Know the Presidential Contender? Mike Huckabee is making noise again about running for President and a poll mentioned by Fox and Friends this morning has him leading with Jeb Bush and Chris Christie second and third. He has the gift of gab and loves to talk about restoring America’s Greatness. Most of us here in Arkansas would be happy if our state was restored to the condition it was in before his pitiful reign. Mike Huckabee hilariously claimed that he would base part of the decision on whether to run for president on how his book sold. The returns are in and his book has bombed according to USA Today. Make no mistake, Huckabee still has his fawning fans who only know what he says, not what he actually does. In his get-even book, Huckabee blasts Mitt Romney, his principal rival in Iowa. Huckabee writes that the former Massachusetts governor’s record was “anything but conservative until he changed the light bulbs in his chandelier in time to run for president.” He notes that Romney declined to make a congratulatory phone call after Huckabee beat the odds to win the Iowa caucuses, “which we took as a sign of total disrespect.” He mocks Romney for suggesting, during one debate, more investment in high-yield stocks as a solution to economic woes. “Let them eat stocks!” Huckabee jokes. I believe Romney and Huckabee are both woefully lacking in conservative credentials. On its annual governor’s report card, The Cato Institute gave Huckabee an “F” for fiscal policy during his final term, and an overall two-term grade of “D.” Only four governors had worse scores, and 15 Democratic governors got higher grades, including well-known liberals like Ted Kulongoski of Oregon, Rod Blagojevich of Illinois, and Ed Rendell of Pennsylvania. That’s right, Blago did a better job handling money and he’s in prison. But Huck’s Army members still dote over the jolly old fellow who lost 120 pounds, wrote a book about losing 120 pounds and then put all the weight back on. He has not written a book about putting the weight back on yet, maybe we can look forward to that in the future? Huckabee was, incidentally, the only Republican candidate for president who opposed school choice. He is proud of his record in Education. Most politicians promise to improve Education. After attending the National Governor’s Association Convention Huckabee learned about his state and sent out an e-letter saying, “some startling statistics last year… took my breath away.” The fact that these statistics were breath-taking to the governor made me catch my breath as well. You see, the Governor has, for 10 years, been pushing educational reforms (to the tune of $1 billion in just his last three years as governor) but did not know what the college remediation and dropout rates were in Arkansas and the nation. He was shocked to learn that ” twenty percent of Arkansas ninth graders do not stay in school until graduation …and more than 50 percent of Arkansas students who go straight to college require remedial courses in both math and English.” I have always said that Education is not about money, it is about learning. Huckabee might have been better off buying magic beans with that extra billion dollars? • $43,150 from his lieutenant governor’s campaign for use of his personal airplane. As I recall he rented his campaign his own airplane at a rate much higher than a plane could be rented from any Rental Company. • $23,500 from a tax-exempt organization he incorporated with others, but whose funding source isn’t known. The Action America organization, Huckabee said, was set up to coordinate parts of his private-sector speaking schedule during his three years as lieutenant governor. Huckabee lashed out after reporters questioned wedding-gift registries set up to furnish his new $525,000 home in North Little Rock. The wedding account was set up for Mike Huckabee and his wife Janet, who have been married since 1974. Huckabee has called for increased federal spending on a variety of programs from infrastructure to health care. He wants more energy subsidies, including, naturally, more subsidies for ethanol. In fact, he supports increased agricultural subsidies generally. He is the only Republican candidate who opposes President Bush’s veto of the Democrats’ proposed expansion of the State Children’s Health Insurance Program, and he is skeptical of most conservative proposals for entitlement reform. Calling himself “a different kind of Republican,” Huckabee often appears to be channeling John Edwards or Lou Dobbs. He rails against high corporate profits and attacks free trade agreements. As governor, he raised the minimum wage and increased business regulations. He says it is “a biblical duty” to pass more regulation to fight global warming. Perhaps Huckabee’s only claim on conservative credentials is that as a former Baptist minister, he is more anti-abortion and anti-gay than the other candidates. In many ways, he has been running an overtly religion-based campaign. But even here, his preference is to increase and centralize federal government power. Unlike Fred Thompson, John McCain, or Ron Paul, Huckabee rejects federalist solutions to these issues and would have the federal government overrule state abortion and marriage laws. What other candidate for President could go to Iowa and preach in local Baptist Churches. That, of course, would not be campaigning. Huckabee raised taxes in Arkansas, not Iowa. Under the Bush administration, the Republican Party increasingly drifted away from its limited government roots. It has come to be dominated by a new breed of conservatives who believe in increasing the size, cost and power of government to achieve “conservative ends,” even if that means limiting personal freedom in the process. Bush brought us No Child Left Behind, the Medicare prescription drug benefit, and a 23-percent increase in domestic discretionary spending, and Huckabee’s been right there with him. On election night in 2006, 55 percent of voters leaving the polls said they believed the Republican Party had become the party of big government. Mike Huckabee is doing his best to convert the other 45 percent. Mitt Romney, Huckabee’s principal rival in Iowa, receives the roughest treatment. Huckabee writes that the former Massachusetts governor’s record was “anything but conservative until he changed the light bulbs in his chandelier in time to run for president.” He notes that Romney declined to make a congratulatory phone call after Huckabee beat the odds to win the Iowa caucuses, “which we took as a sign of total disrespect.” He mocks Romney for suggesting, during one debate, more investment in high-yield stocks as a solution to economic woes. “Let them eat stocks!” Huckabee jokes. His treatment of former candidate Fred Thompson, a rival who helped sink Huckabee’s upstart ambitions in South Carolina, is somewhat more favorable, if only because it is less personal. Huckabee maintains that Thompson’s biggest mistake was strategic: he didn’t understand the need to expand the Republican Party beyond its base. “Fred Thompson never did grasp the dynamics of the race or the country, and his amazingly lackluster campaign reflected just how disconnected he was with the people, despite the anticipation and expectation that greeted his candidacy,” Huckabee writes. Many conservative Christian leaders — who never backed Huckabee, despite their holding similar stances on social issues — are spared neither the rod nor the lash. 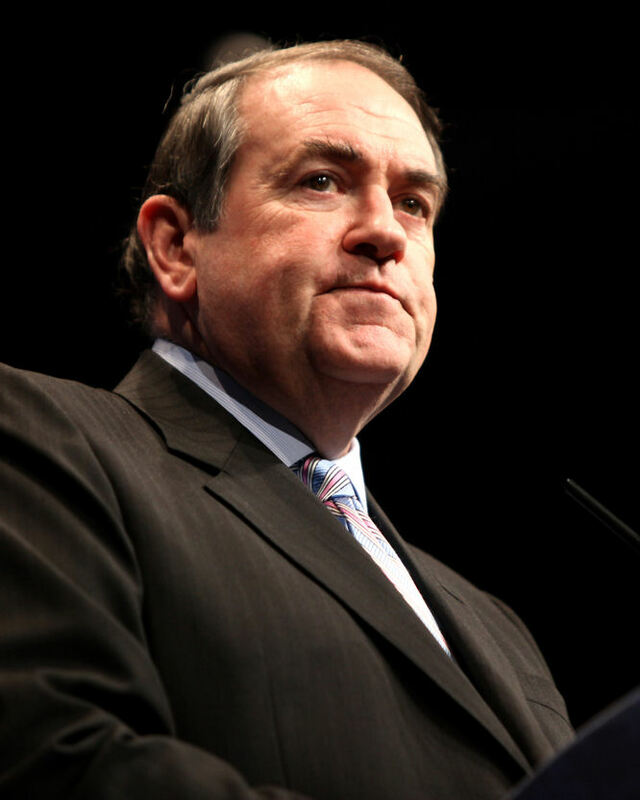 Huckabee writes of Gary Bauer, the conservative Christian leader and former presidential candidate, as having an “ever-changing reason to deny me his support.” Of one private meeting with Bauer, Huckabee says, “It was like playing Whac-a-Mole at the arcade — whatever issue I addressed, another one surfaced as a ‘problem’ that made my candidacy unacceptable.” He also accuses Bauer of putting national security before bedrock social issues like the sanctity of life and traditional marriage. He calls out Pat Robertson, the Virginia-based televangelist, and Dr. Bob Jones III, chancellor of Bob Jones University in South Carolina, for endorsing Rudy Giuliani and Romney, respectively. He also has words for the Texas-based Rev. John Hagee, who endorsed the more moderate John McCain in the primaries, as someone who was drawn to the eventual Republican nominee because of the lure of power. Huckabee says he spoke to Hagee by phone before the McCain endorsement while preparing for a spot on Saturday Night Live. “I asked if he had prayed about this and believed this was what the Lord wanted him to do,” Huckabee writes of the conversation. “I didn’t get a straight answer.” Months later, McCain rejected Hagee’s endorsement because of controversial remarks the pastor had made about biblical interpretations. The national media gets no pardon either. “Reporters facilitate the greedy and grubby process whereby too many elections go to the highest bidder and his sharpie hirelings,” he writes. He remains sore about the degree to which a candidate’s credibility is judged by his or her bank account and notes that during the debates, he was often asked about religion while the other candidates dealt with questions of government policy. Why, he asks, was a “floating cross” in the window of one of his ads such a media controversy when reporters gave a pass to a Barack Obama direct-mail piece that obviously photographed the Democrat before a large Christian cross? Yes, Mike Huckabee is a different kind of Republican, after doing a number on Arkansas, he moved to Florida where there is no State Income Tax. Rush Limbaugh, Mark Levin and Glenn Beck have spent hours exposing Governor Huckabee, is anybody listening? and will not fight back if you are providing everything for them to live. These come from the lips of Saul Alinsky. President Obama and Hillary Clinton can recite them like you can recite the Pledge of Allegiance. I know you are busy with sports, dining, movies, Duck Dynasty, school, earning a living and household chores, but does any of this ring a bell? Are YOUR Representatives complicit in the downward spiral of America? Do you have time to get involved and help save America before it’s too late? Dear Ambassador Bolton: Try reasoning out your support for illegal activities. If NSA had immersed itself in protecting U.S. Citizens instead of spying on U.S. Citizens, things would have been much different. If NSA had aggressively ferreted out our enemies, 911 would not have happened. If the bureaucrats had not been asleep at the switch, the Khobar Towers Bombing would have been foiled, the USS Cole would not have been attacked, the Boston Bombing would have been stopped and North Korea would not be a Nuclear Power today. If NSA had not been obsessed with tapping your phone along with the phones of every member of Congress, every Federal Judge, every CEO, every Governor and every News Reporter, thousands of Americans would be alive today. Osama bin Laden would have been found and the whole Afghanistan War could have been avoided. Tyrone Woods, Glen Doherty, Sean Smith and Ambassador Chris Stevens would not have been hung out to die and be drug through the streets of Benghazi. No, NSA is a dismal failure from every perspective. If NSA Analysts can read newspapers they know that Iranian books have been found discarded along the well worn path leading from the hole in the fence. They know that there are at least 20,000 illegal aliens in the U.S. from Terrorist Countries like Yemen, Somalia, Iran, Cuba, Sudan, Libya, Syria and North Korea. Oops, the Obama Administration has removed North Korea and Libya from their list of State Sponsors of Terrorism and Somalia and Yemen are not on their list. Are you beginning to detect a problem? Anyway, NSA has no idea where these terrorist are. NSA is also in the dark about the whereabouts of the 20,000 shoulder launched surface to air missiles missing from Libya or the Suitcase Nukes missing from the old USSR. Houston, we have a problem! If NSA can spy on anybody anytime, anyplace, anywhere, meaning they can spy on all branches of United States Government, state and national. They can also spy on corporate executives and learn about mergers and acquisitions long before anybody else. They can know where shopping centers are planned or when dividends will be announced. With that information, the 17 intelligence agencies become the fourth branch of government more powerful than the other three branches combined. Is that the America you want? Is that what our Founding Fathers wanted? When Ambassador Bolton and many others declare that illegal spying on them makes them feel safer, what are they thinking? Our intelligence community can undermine our entire Judicial System. By Judge shopping, rouge Intelligence Agents can get permission to wiretap anybody including the Chief Justice of the Supreme Court or the Senate Majority Leader. Does this not scare the daylights out of you? Can anybody tell me that clever Intelligence Agents are not getting rich with all this information? If they’re clever enough, they will get rich by leaking to relatives or friends. Once given such power, do you believe the 17 Intelligence Agencies will EVER kill the goose that lays the golden eggs? If you know everything about everybody, you can blackmail everybody! If you believe the Holy Bible, as I do, you know that all have sinned and fallen short. All means every member of Congress, every Judge, every member of the President’s Cabinet and even the President. Oh, and about those 20 million illegal aliens, not strictly legal immigrants, undocumented U.S. Citizens or whatever you call them, what are they up to? There are thousands of Hispanics in the United States legally on Work Visas or Student Visas or some other legal documents, God bless them. I am a 100% supporter of legal immigration and legal participants in the American Dream. NSA has no idea where the Illegal’s are or what they are up to: human trafficking, illegal drug distribution, criminal activity or what? Maybe that’s not their job but neither is spying on law abiding citizens! We all know that at least half of the illegal’s are receiving some form of welfare. I am not aware of any of these activities taking place when I was an Intelligence Analyst at NSA in 1964 and 1965. Before that I was an Analyst on the northern tip of Japan where I could see Russia from my dormitory window. Wakkanai was probably the closest U.S. facility to Russia so we were on high alert following the assassination of President Kennedy. I was sent outside the instillation to guard a transformer in four feet of snow. I am proud of my service and thankful that I was not ordered to do anything illegal because I would have declined. The government can take my money and my life but they can never take my integrity. 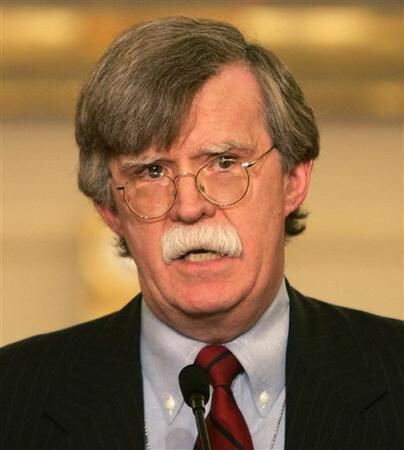 So what can I say to Ambassador John Bolton to convince him that trampling on the U.S. Constitution will NEVER make Americans safer? On the contrary, while the world is more dangerous than ever, Americans are more vulnerable than ever. Giving up freedom for security is a losing formula, always has been and always will be. If you discovered unbridled lawlessness and unconstitutional activity within a government agency, what would you do? Every government employee and member of the Armed Forces knows what will happen to them if they blow the whistle. Only the most courageous patriots who love America more than themselves will ever dare. If you blow the whistle on an agency, with a corrupt Agency Director, his or her Inspector General will inspect the allegations. The IG works for the Agency Director. Even if the Fraud, Waste & Abuse (FW&A) involves a low ranking individual and is substantiated by the IG, your career is over, O-V-E-R, done, finished! YOU will be investigated, harassed, isolated and totally destroyed. That’s why waste in the government is LEGENDARY! If your allegations point to a high ranking individual or the Agency itself, they will NEVER be substantiated! Yes, the IG system cannot work and is itself FW&A. Only the Government Accountability Office (GAO) can be depended on the get the truth. The GAO works for Congress. Unless you get your news from Good Morning America, Today, CNN or MSNBC, you realize that most of the Cabinet Members and Agency Directors are corrupt. The Attorney General sets in Criminal and Civil Contempt of Congress while the National Director of Intelligence and the Director of NSA have both lied to Congress. NSA stand for “No Such Amendment?” For the first time in American History all three branches of government are complicit in violating the Fourth Amendment of the Constitution. NSA is suppose to focus on foreign intelligence but I believe they have become obsessed with learning what size underwear you have on, what inside information CEO’s know, what horse will win the 5th race at Belmont, how Judges will rule in specific cases or where the next shopping center will be built? NSA has a dismal record when it comes to stopping the Boston Bombing, the USS Cole attack, the Khobar Towers bombing, the Benghazi Attack, 911, the Time Square Bombing and countless other catastrophes that cost countless American Lives. They spied on our allies instead of spying on our enemies. Maybe if they had put some effort into finding Osama bin Laden 12 years ago the war in Afghanistan would never have happened? It has been estimated that there are at least 20,000 illegal aliens from terrorist countries in the United States. Where are they, what are they up to and when will they do their reprehensible mission? Suitcase Nukes and thousands of surface to air missiles cannot be accounted for. Where are they, who has them and what will they do with them? They could all be in the United States because our 92,000 miles of shoreline and our borders are porous. 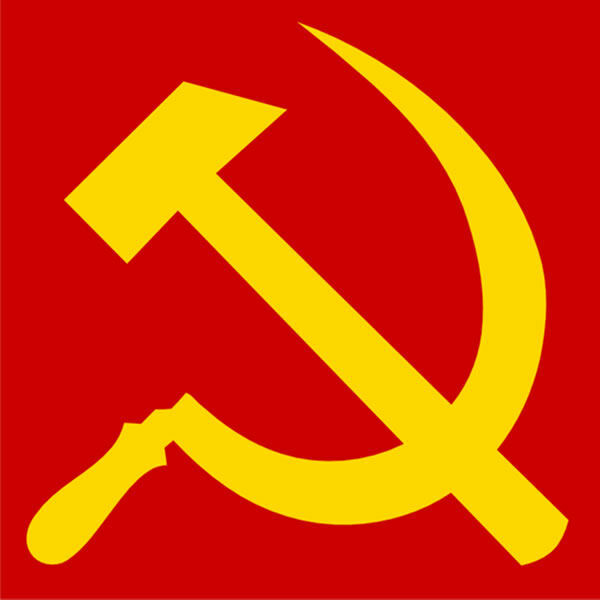 So what is the focus of the once mighty United States? Silencing Edward Snowden! Even usually rational citizens have lost sight of the crooks and focused on the messenger. Nobody at NSA or IRS has been arrested. Witnesses to the Benghazi attack have been threatened. The Doctor who found bin Laden has now been charged with murder while America refuses to lift a finger to help him. Are there any Americans left with enough discernment to tell the difference between the good guys and the bad guys? While you have been obsessed with Snowden and Duck Dynasty, your government spent $98,670.00 on an outhouse in Alaska, a million to heat the pavement at a bus stop, a $10,000 grant for a Pole Dancing Performance, $5,400,000.00 for booze and crystal for the State Department, $82,000 to monitor depression on Twitter and $562,000 for artwork for offices. Oh, did I mention the 1.5 million square foot billion dollar NSA Building in Utah? Time to go back to Good Morning America, you might miss a great recipe for rattlesnake chili? You are currently browsing the Gene McVay On Guard blog archives for January, 2014.